Do you need a new web site? Does it need to be functional as well as smartly designed? Do you need to seemlessly integrate your web site into your current technology? Do you need something unique? 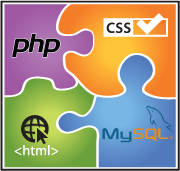 Microalps web services specializes in custom solutions for your web presence. We don't believe in retrofitting an existing product to meet your requirements. Instead, we analyze your business model and suggest the best solution for the maximum return on investment. Then we work with a designer and develop something unique for your company that exceeds your expectations. Microalps web services provides API integration with various credit card payment gateways. We are certified by Authorize.Net to integrate our customers' websites with both Credit Card and ACH Withdrawal (eCheck.Net). We are also compliant with Chase Paymentech's Orbital Gateway. Other gateways available upon request. © Copyright 2009–2019 microalps web services. All rights reserved.